Too much of chance to be chance. IF ANY OF YOU are in public school like me, you are bound to face the concept of the origin of the world. My current unit in Biology is on evolution. For those who don’t know, evolution is the process by which all species develop from earlier forms of life (according to scientists). It can be hard to stand strong in your faith while facing all the adversities that come from this theory. How do we overcome this as young Christians? In Biology class the other day, my teacher decided to show us a video. It was the History of the World in 2 Hours. In this video scientists explained their theory from the Big Bang to now. It was an interesting video, but obviously false. First off, a Big Bang did not create our universe; an awesome God did (Genesis 1:1). Secondly, we did not evolve from animals, God created man. He even created us in His own image (Genesis 1:27). Lucky for us— the earth is placed in the perfect position to sustain life. Lucky for us— we developed opposable thumbs to grab objects. And the list goes on and on. 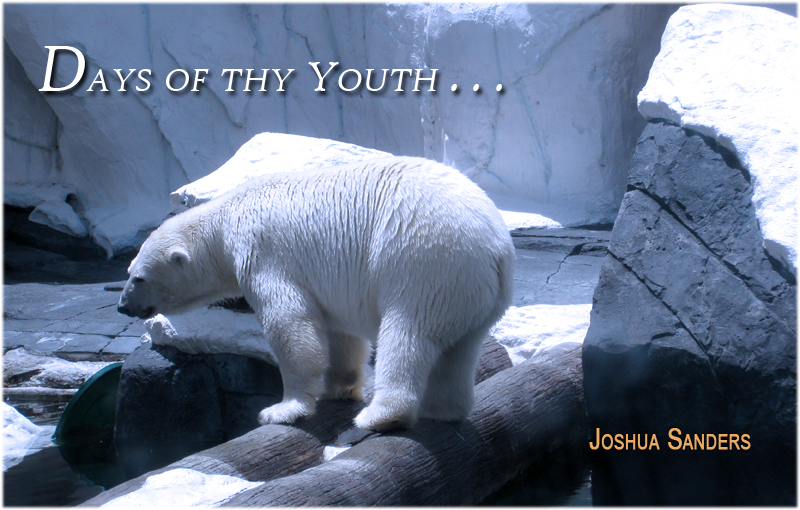 In the Days of Thy Youth, 2, a publication written for and sometimes by young people and distributed among several congregations in central Florida.